Q: What investment is required to enroll in the Dental Sleep MBA™ four-year program? The Dental Sleep MBA™ Program is a four-year program that requires an investment similar to your average dental school. The investment is similar, but the RETURN you can expect on that investment is quite different. The other key difference is that this is a working program. While you’re in dental school, your earning power is zero. You wait four years and graduate with the expectation that you will go out into the world and become a successful dentist. Members accepted into the Dental Sleep MBA™ Program begin building their dental sleep practice immediately. And over the course of four years, we help you work towards success. In dental school, you graduate and THEN begin your journey to success. In the Dental Sleep MBA™ Program, by the time your “graduation” happens, you should already be experiencing success, which we define as 20-50 appliances per month. While there are no guarantees, you can reasonably expect (provided you follow the program and do the work) a full return on your investment in year one, most likely between months nine and 12. While you are creating the infrastructure for your practice, you can expect zero income for the first three or four months. Between months four and six, you can expect that you will begin to receive checks. The quickest any member saw 5-10 appliances per week, was at the six week mark. The quickest any member achieved a consistent 50 appliances per month is twenty months into the program. Know that payments usually trail 6-8 weeks behind each appliance. You can expect your first appliance to come near the end of month three or the beginning of month 4. To have a reasonable chance of success, you have to invest a minimum of four hours per week (that’s not seeing patients, this is 4 hours working on the business) to do this. Anything less just isn’t going to cut it. The reason we don’t discuss all of the specifics outside of the Preview Event is because we want you to understand the entire model and what it’s capable of producing FIRST. That way, all of the numbers are put in the proper context. Our priority is to help each attendee make the right decision for them. And that requires a full explanation of all parts of the model, including the investment and return projections. The model is not something the dental world has seen before so it takes a little bit of time to walk through. Q: Why is the program four years long? The DSMBA Program IS four years long. In that way, it’s much like any degree program. In the Dental Sleep MBA™ world, however, you’re not walking out with a degree, you’re walking out with a business. So while we train and support you for four years, you’re actually building your dental sleep medicine practice the entire time. You start building from day one. The building phase is roughly six months long. Over those months you’re investing time and effort to get the infrastructure built. Then we turn the corner and start focusing on revenue production. And for the next three and a half years, we work along side you to build your practice. 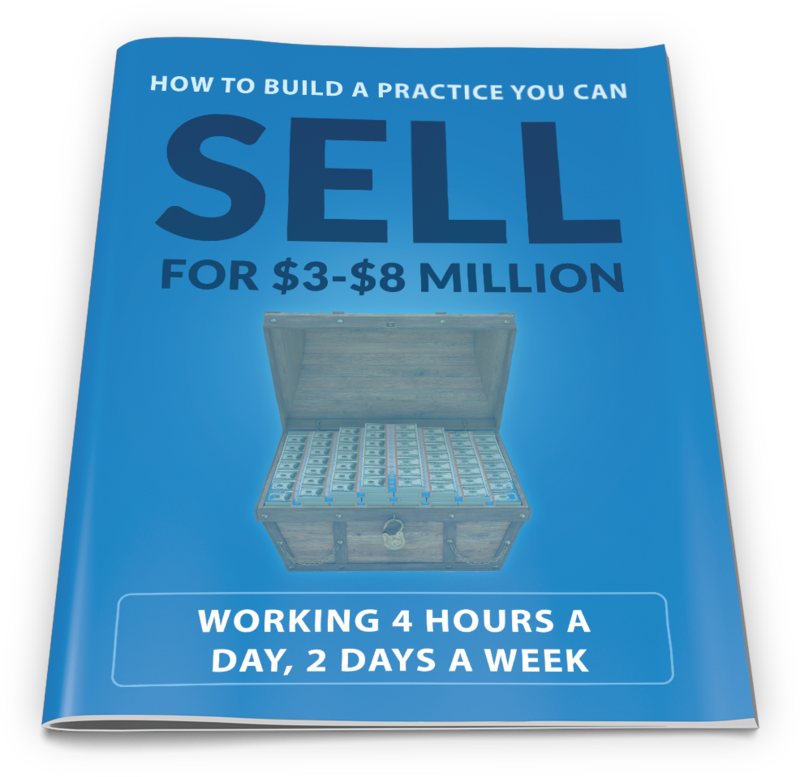 This is a realistic amount of time to build a dental sleep medicine practice you can SELL, if you choose to. Q: Are CE credits available for attending the Dental Sleep MBA™ Preview Event? Yes, you will get 18 CE credits. Given the enrollment fee for the Preview Event, that is approximately $83/CE hour. Q: If 99% of dentists quit sleep medicine what happens to the dentists after they attend the Dental Sleep MBA™ Preview Event? 50-60% of the dentists who attend the Dental Sleep MBA™ Preview Event go on to incorporate sleep medicine into their practices. Q: What’s the difference between the Dental Sleep MBA™ Preview Event and the four-year program? only for very serious applicants. And there’s no way to know if it’s right for you UNTIL you develop a deeper understanding of the Dental Sleep MBA approach—which is what is covered during the Preview Event.